As per the changing needs and desires of the clients, we are captivated in offering supreme quality plethora of LED Spot Down Light. These products are developed using supreme quality basic material using highly modern techniques. Our offered lights are available in a number of provisions to choose from. We provide these products as per the changing needs of our customers. Also, we offer customization facility for this range to our customers. INTERNATIONAL Light and Craft is a furniture/light fitting manufacturer in India. We are a design-oriented & cost-effective orgranization with rich experience in working with 5-Star hotels, offices, residentials, projects etc. 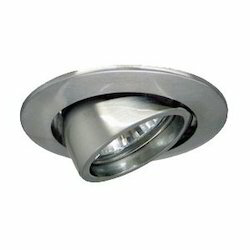 We supply and provide a variety of furniture/light fittings to suit your needs. We can help you furnish the home of your dreams.